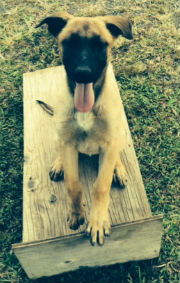 Genie is a very confident and outgoing Female Belgian Malinois. Genie is already has very strong drive for the toy and Gripping full on the sac and arm. Genie will make an outstanding candidate to any working home. Please call for more information.